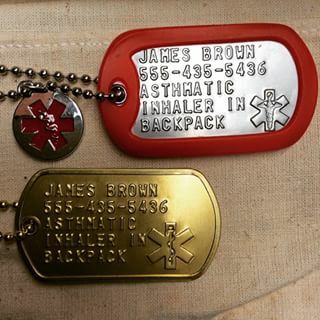 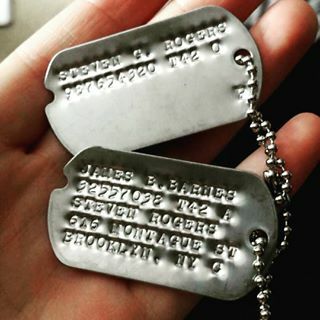 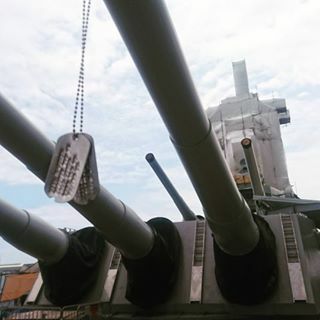 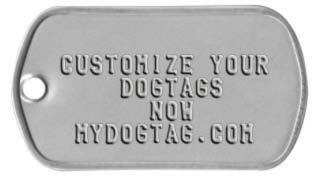 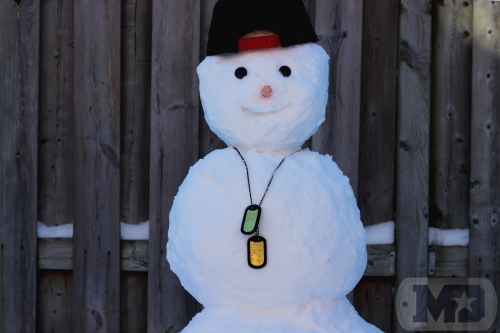 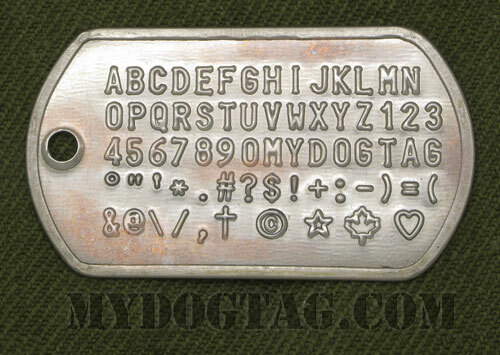 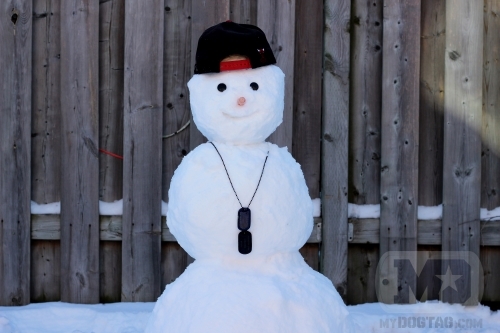 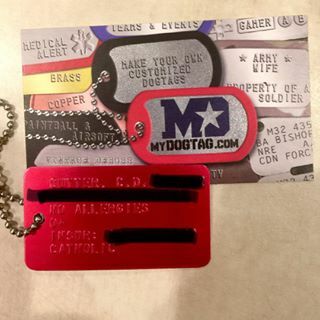 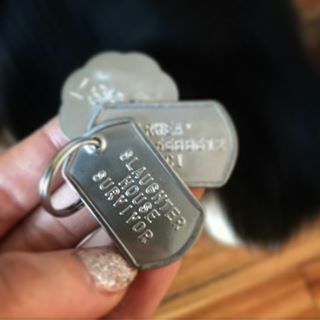 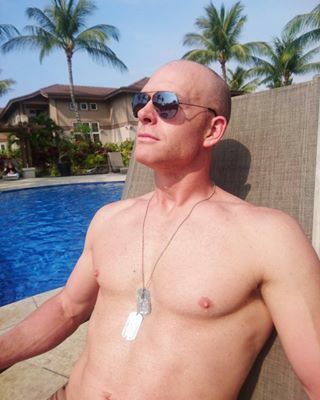 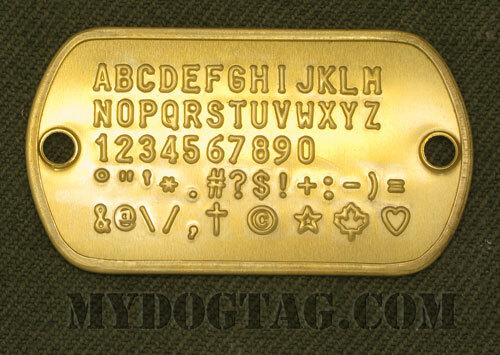 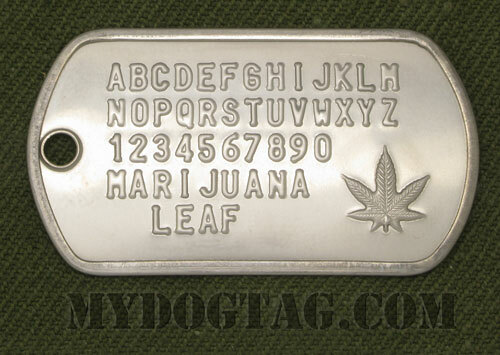 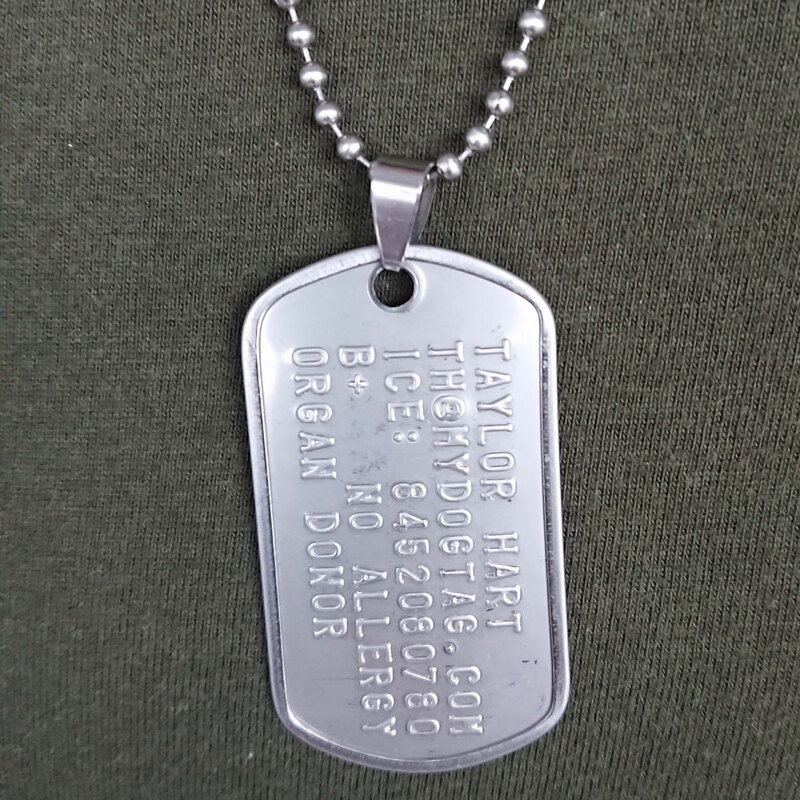 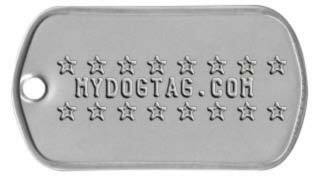 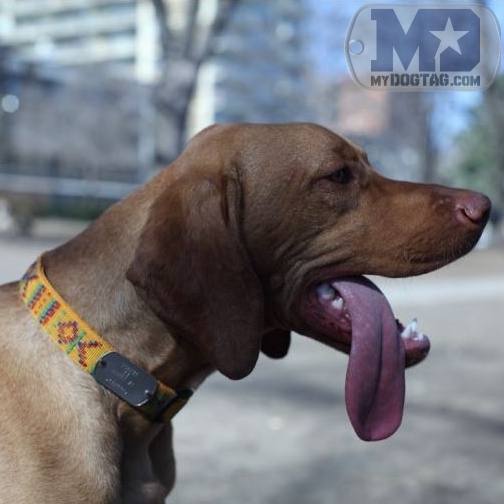 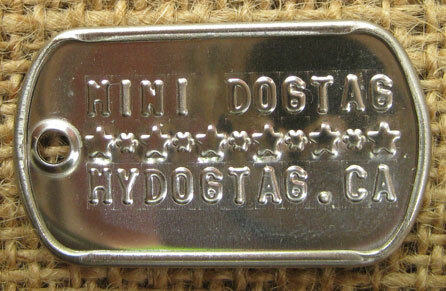 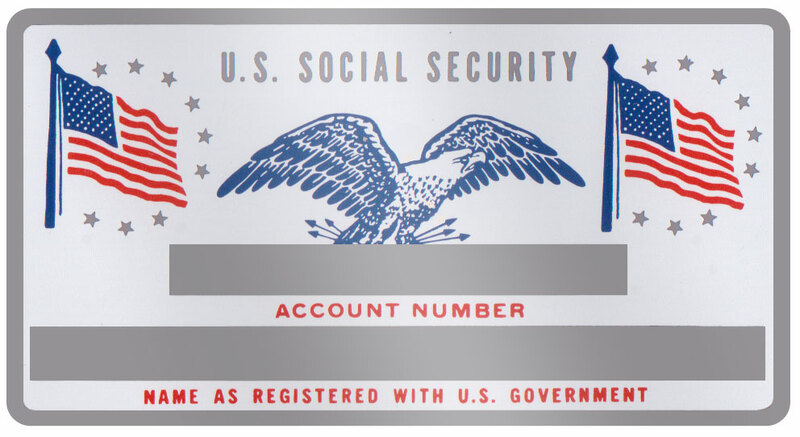 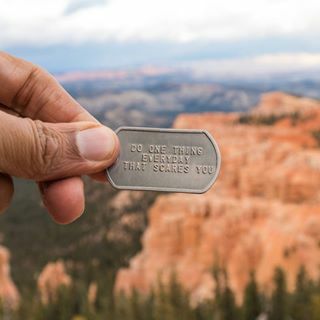 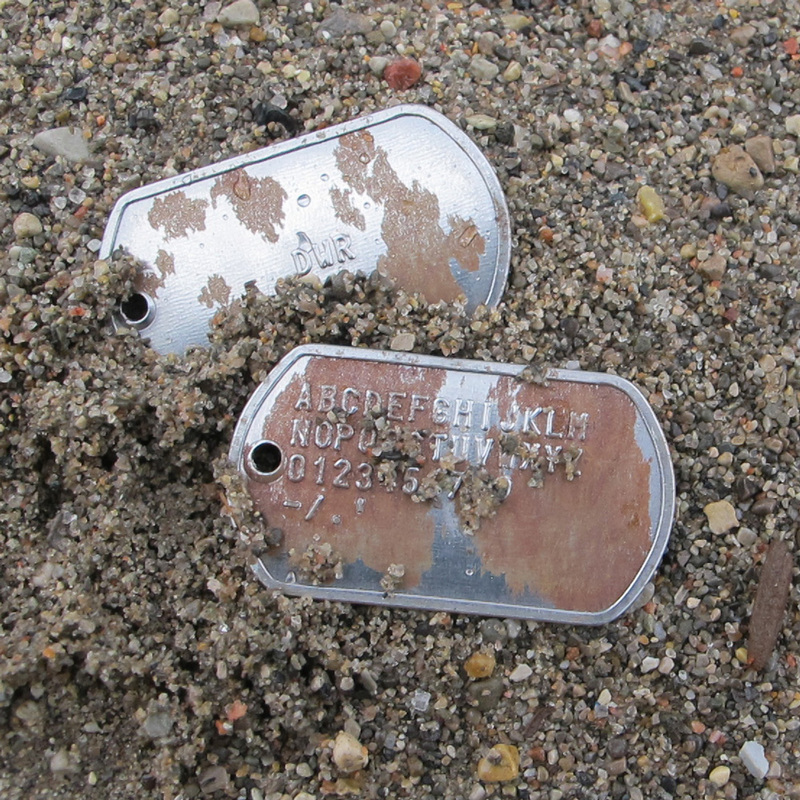 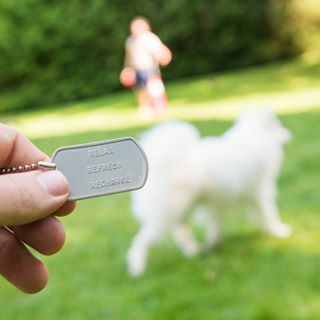 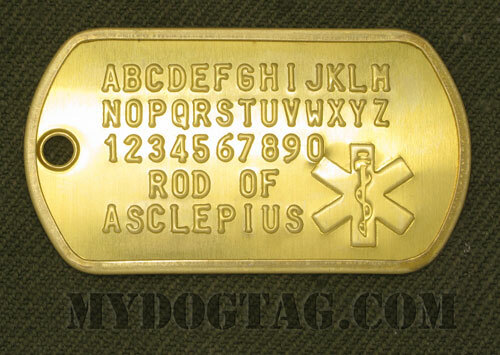 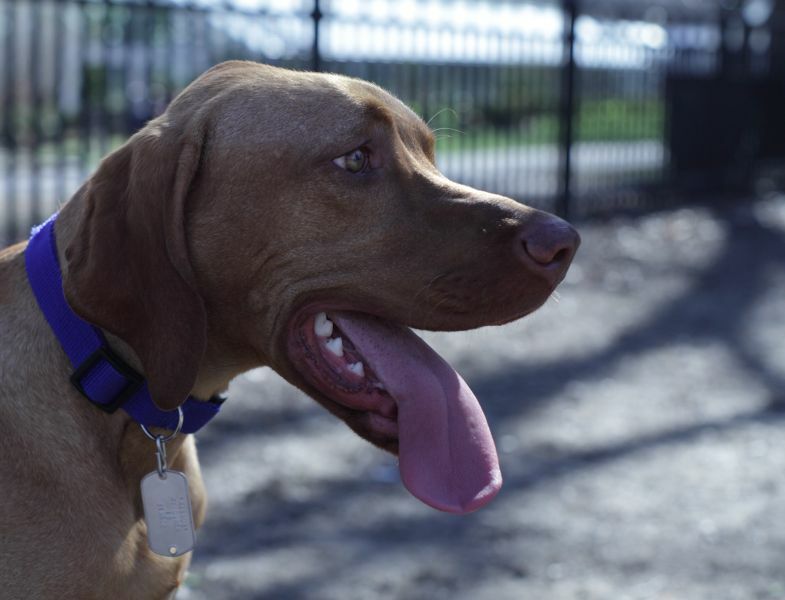 Canadian Military Dog Tags Generator: Personalized Identity Disc ID Dog Tag for people. 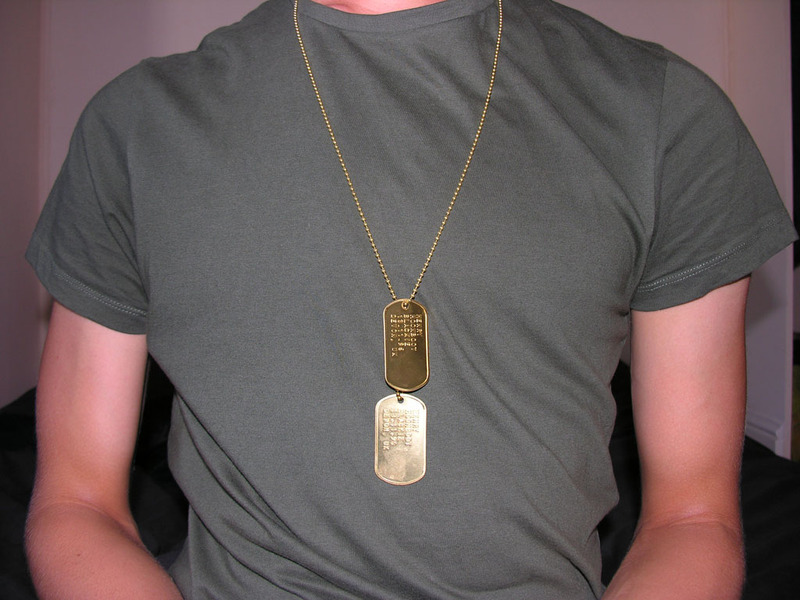 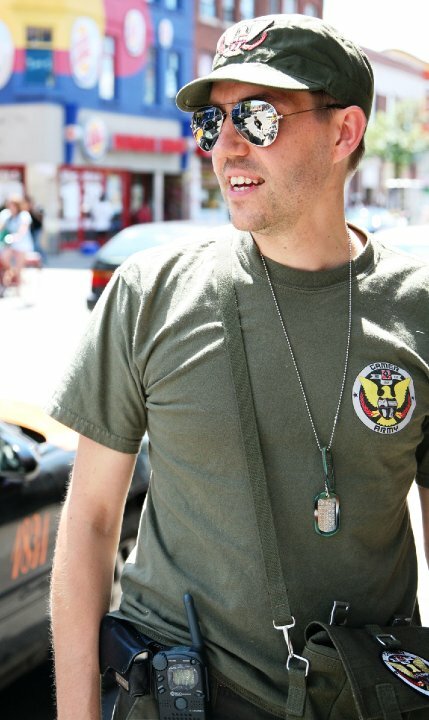 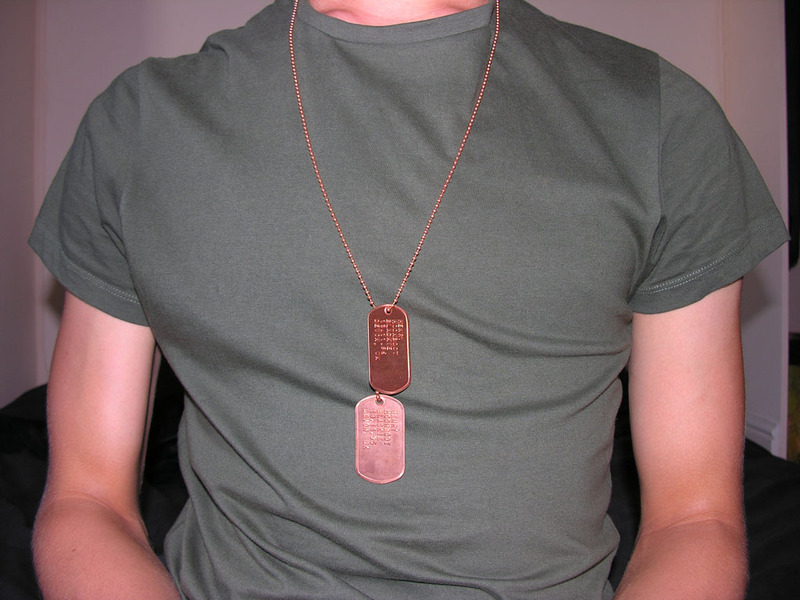 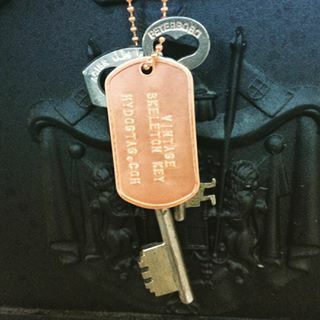 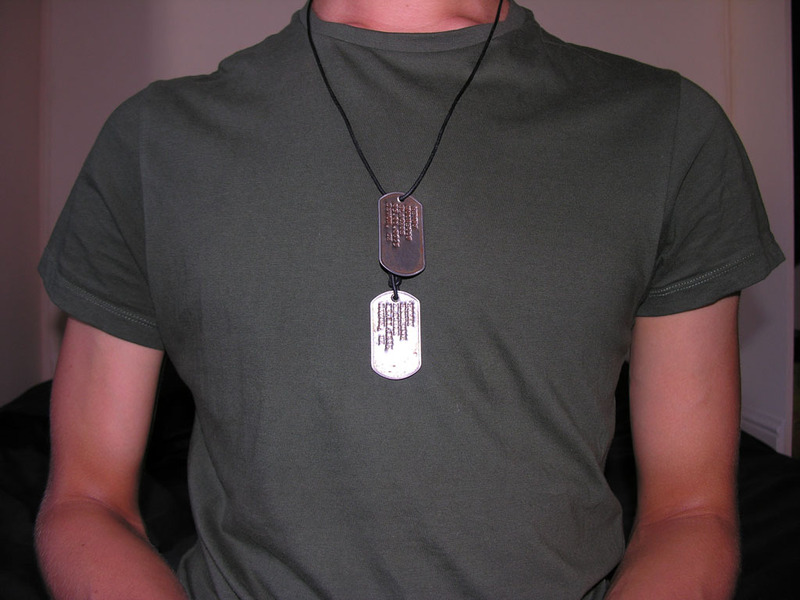 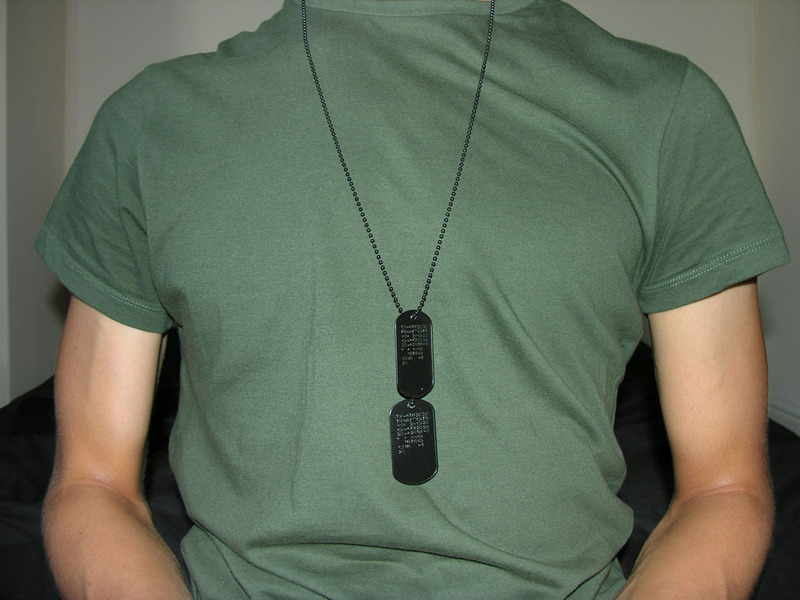 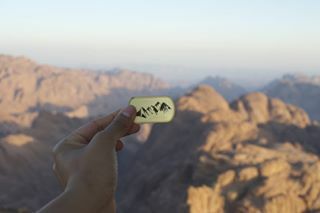 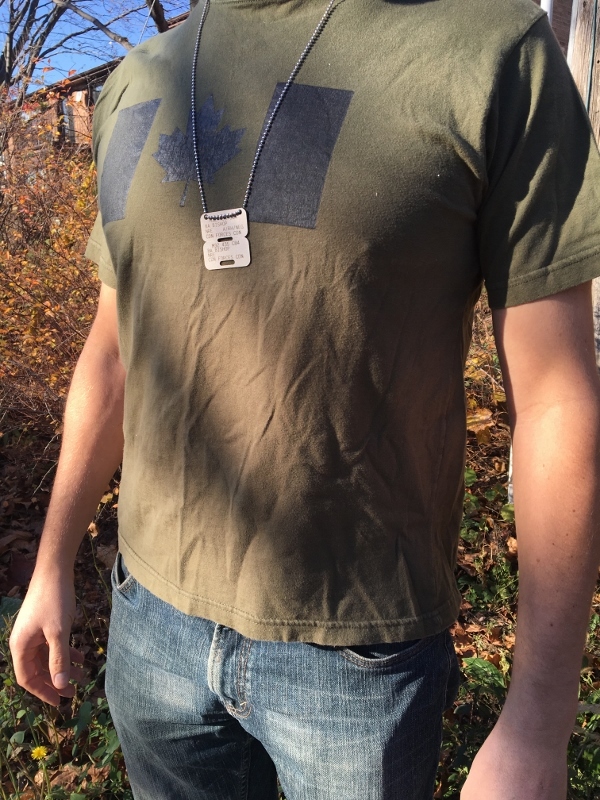 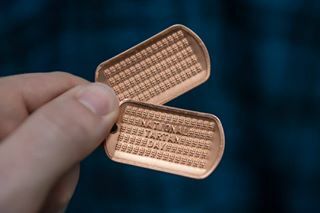 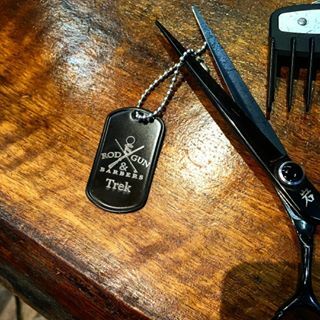 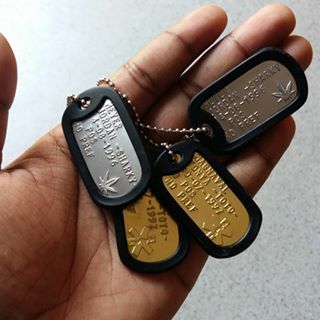 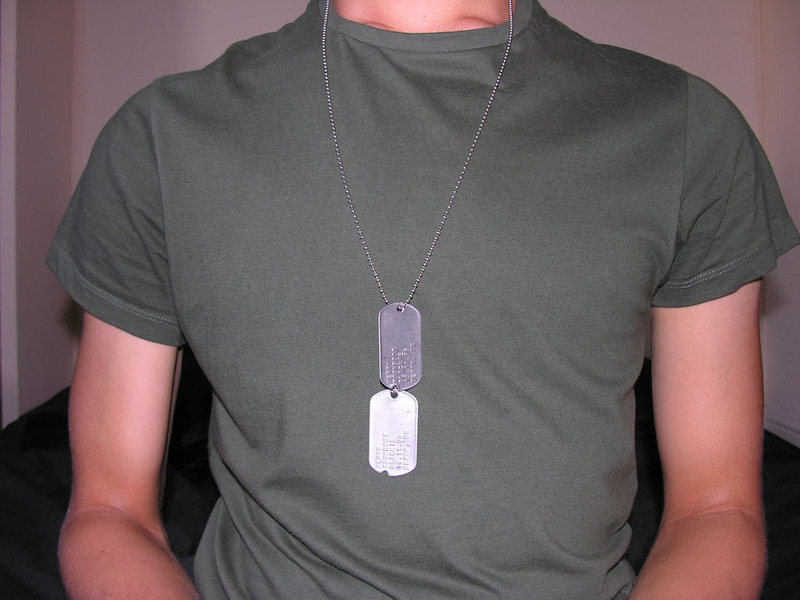 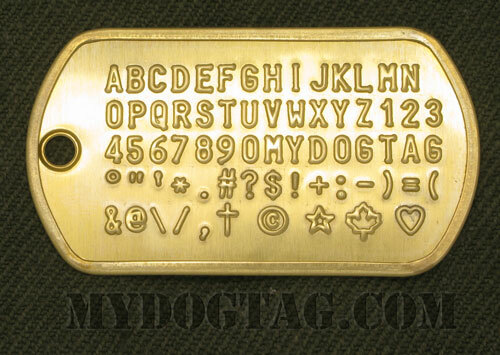 Design & order your own custom Canadian Military Identity Disc Dogtag! 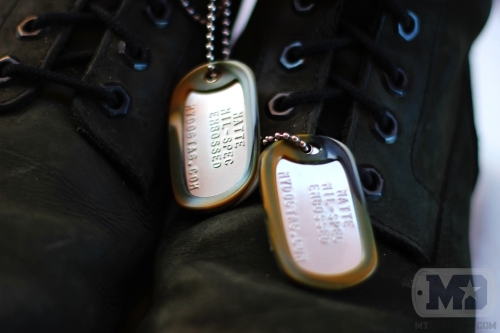 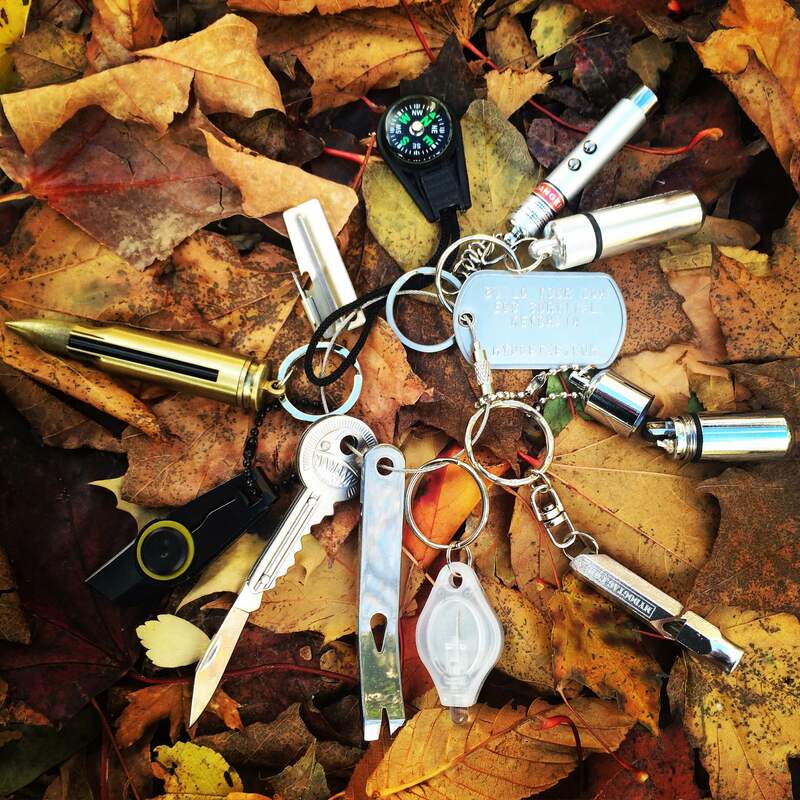 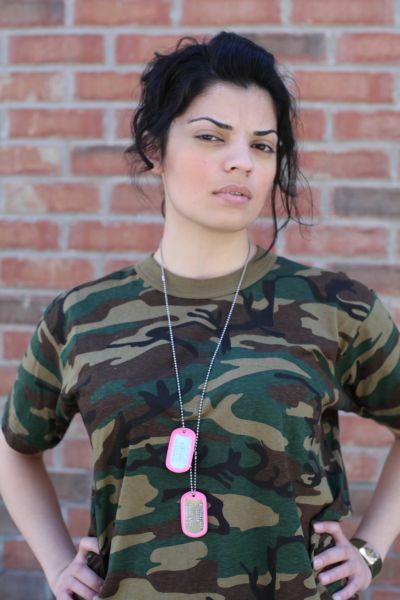 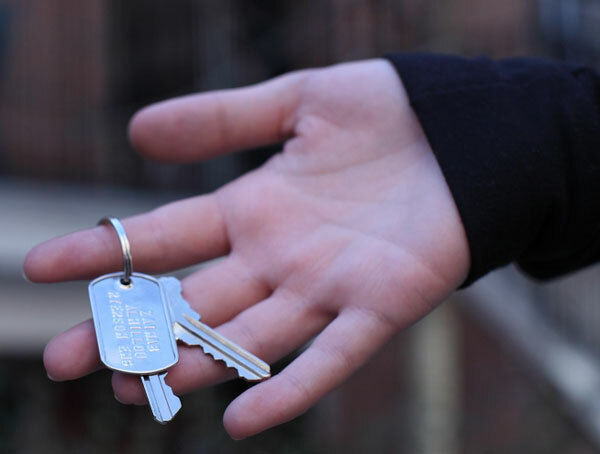 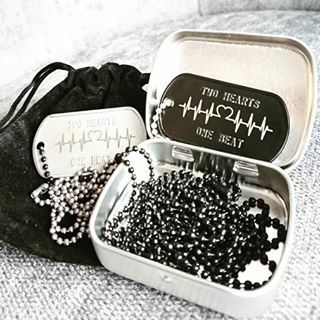 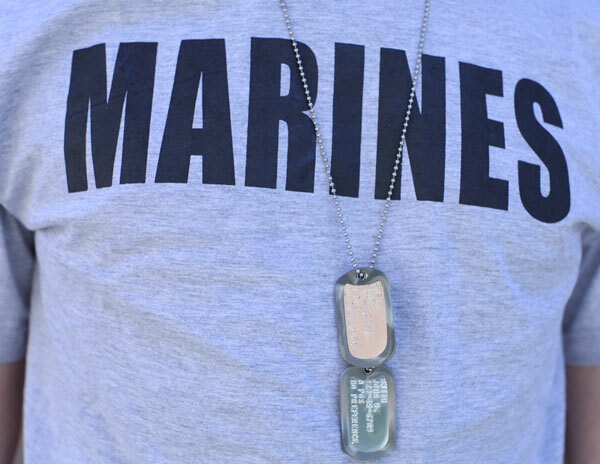 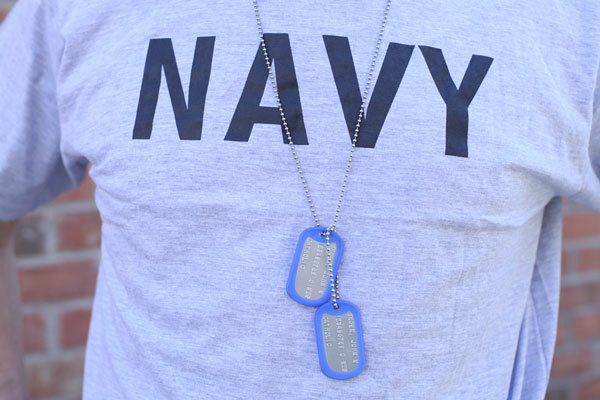 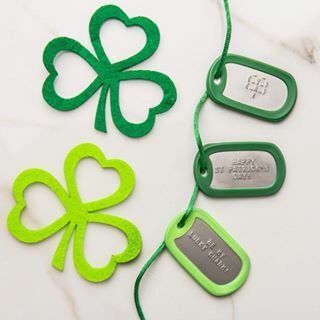 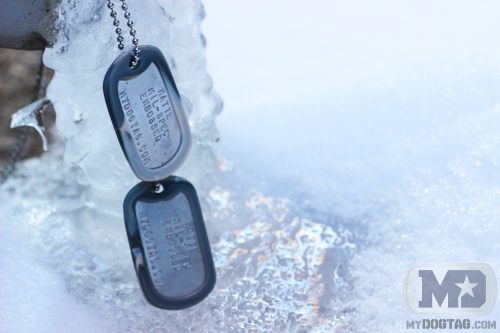 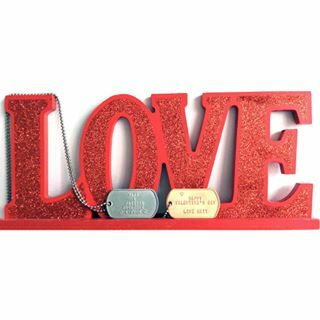 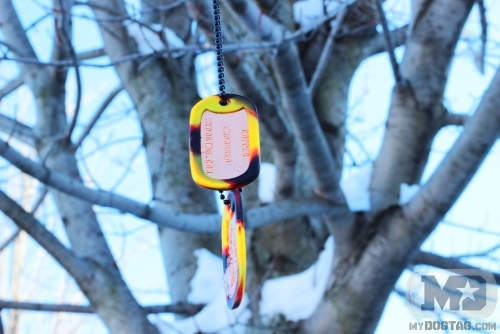 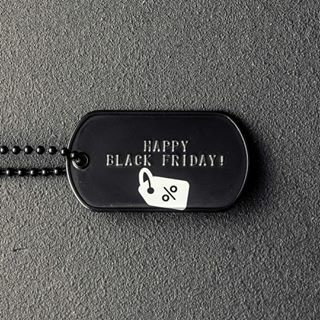 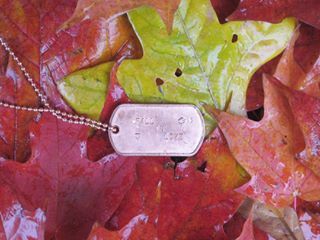 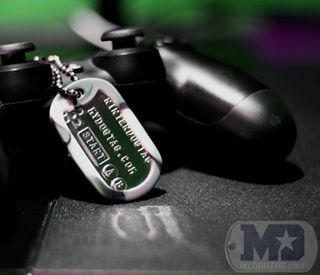 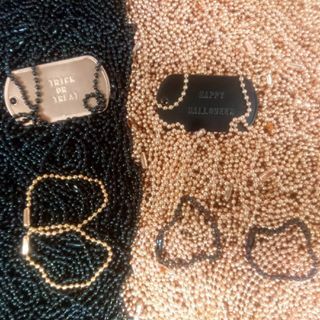 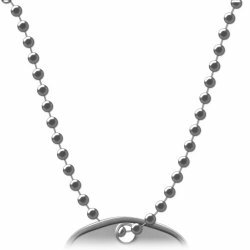 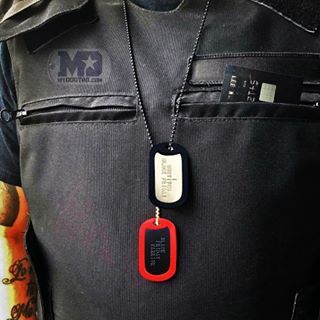 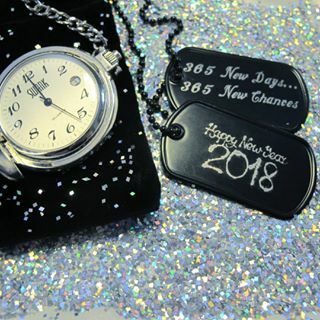 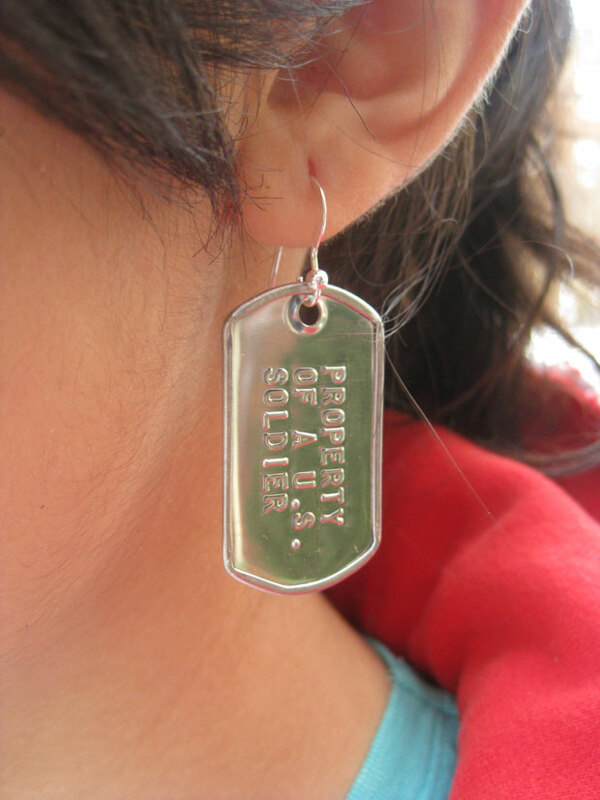 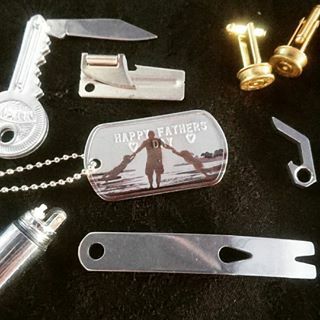 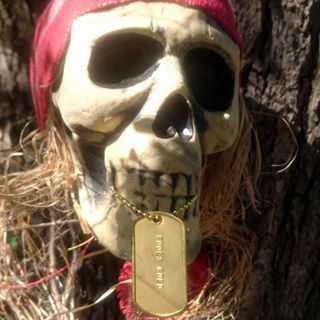 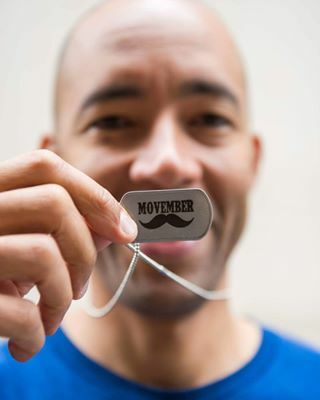 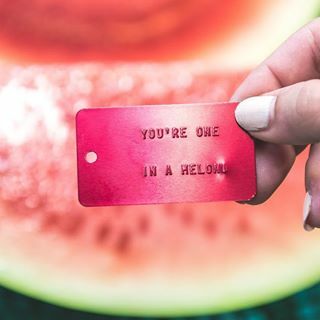 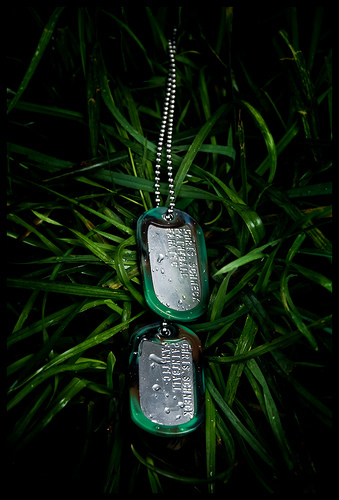 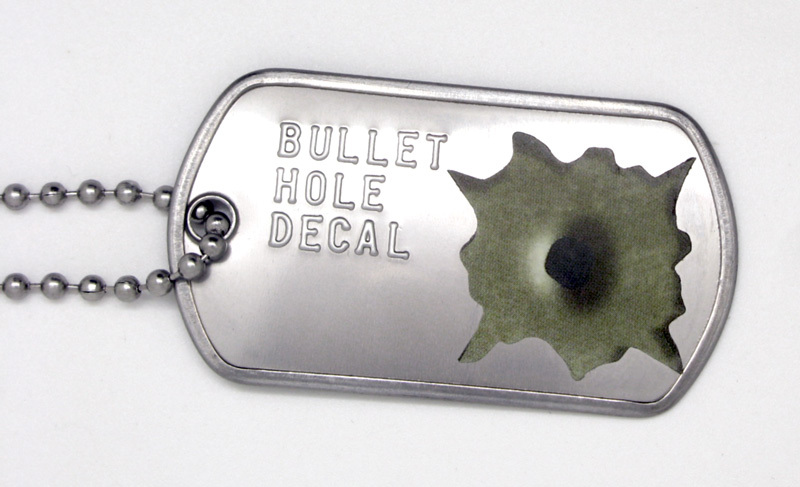 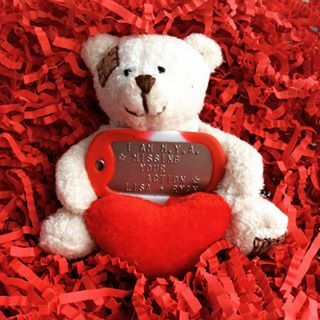 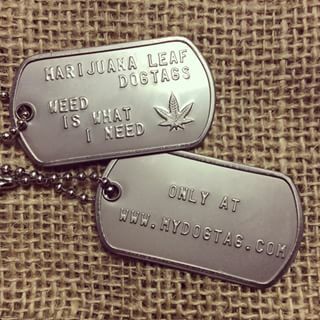 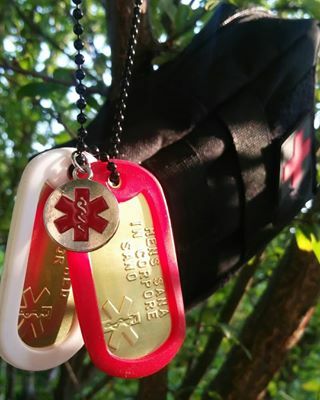 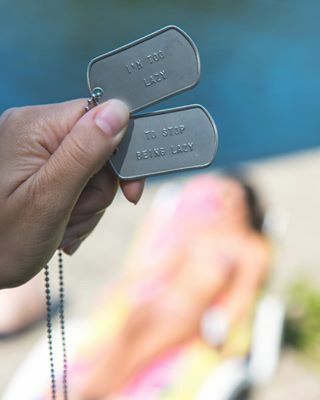 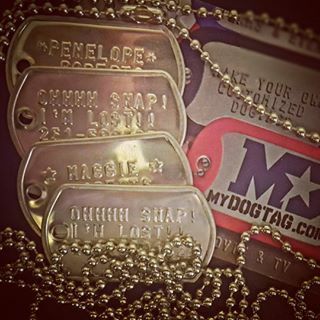 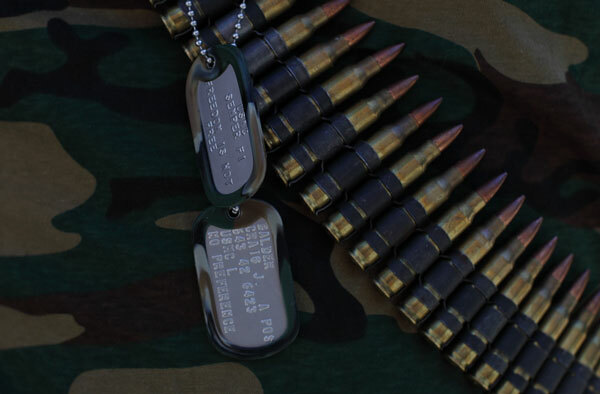 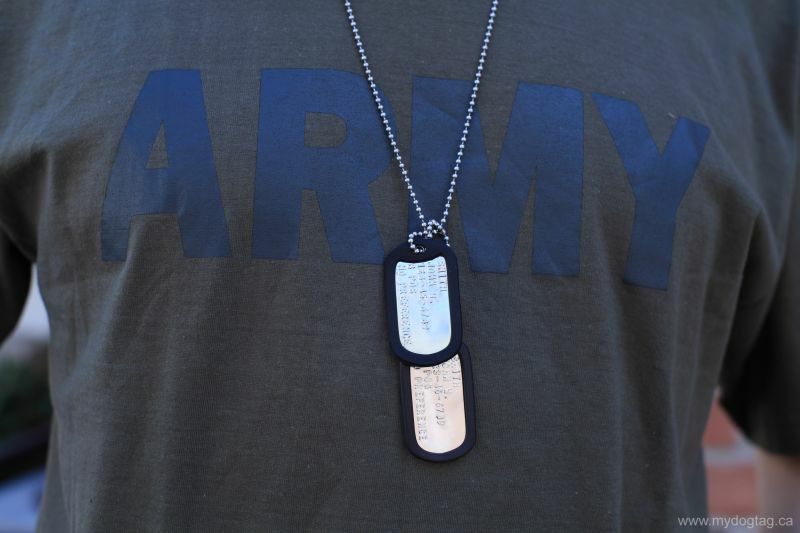 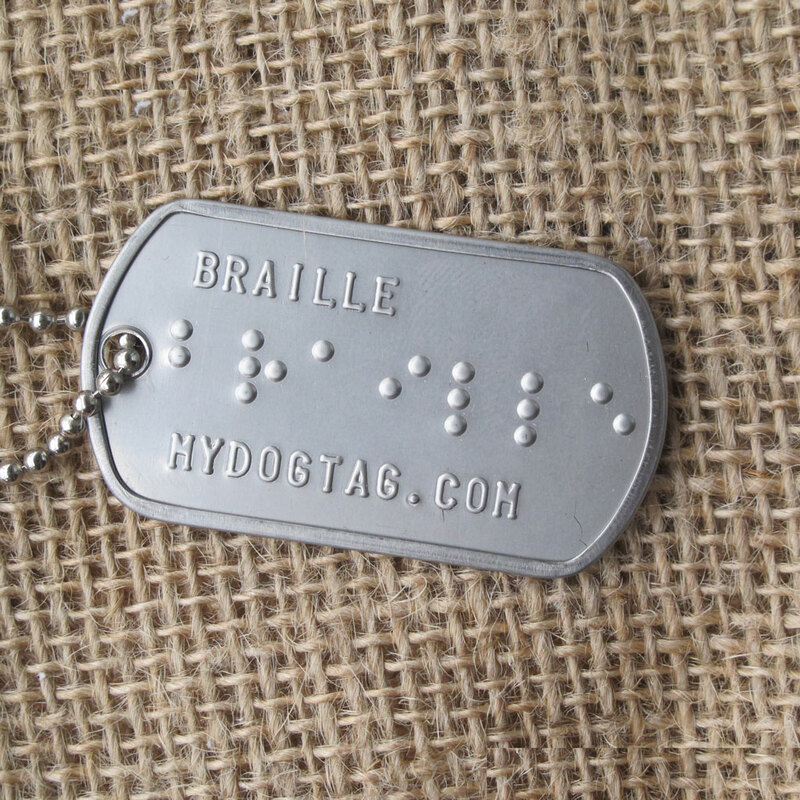 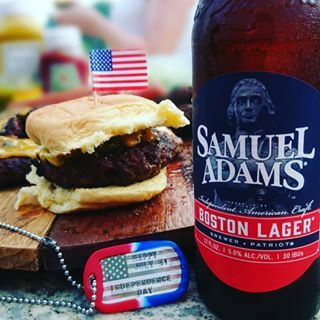 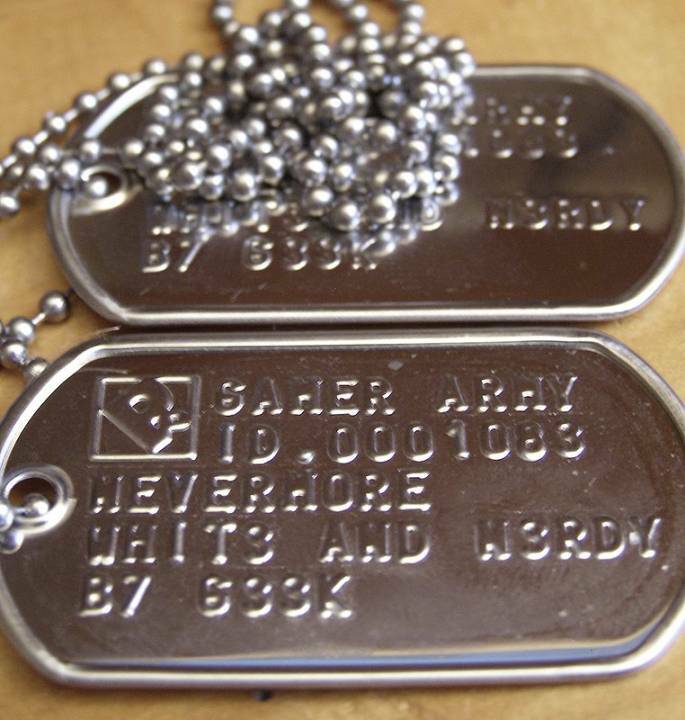 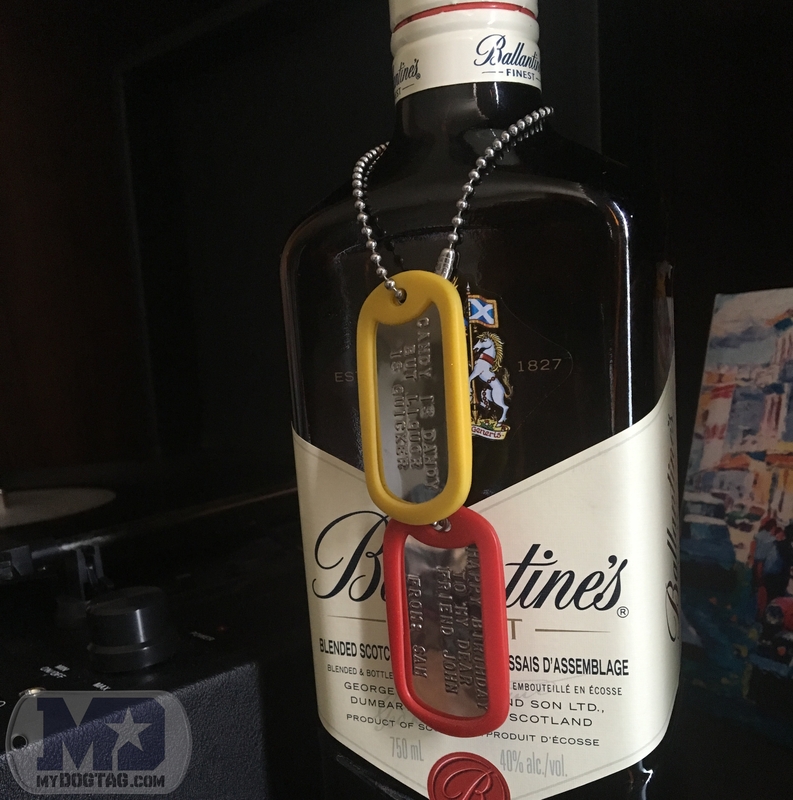 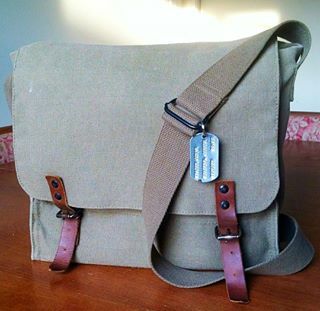 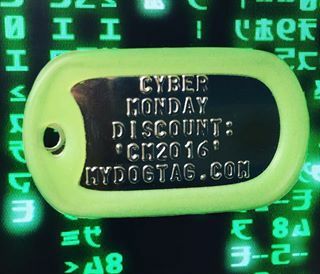 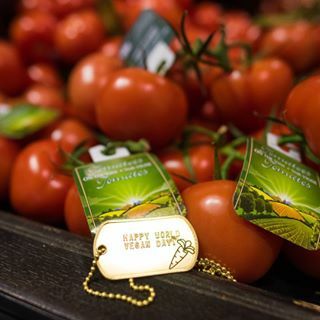 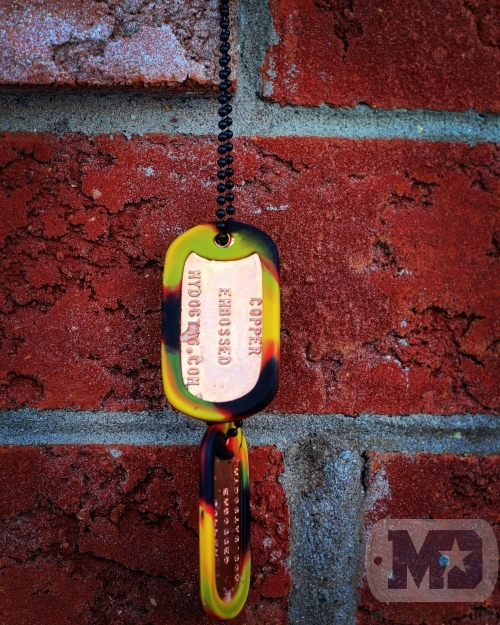 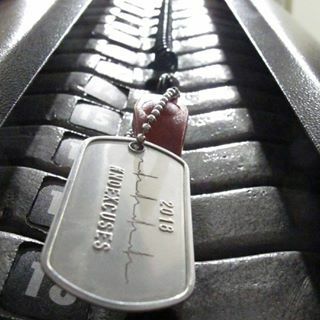 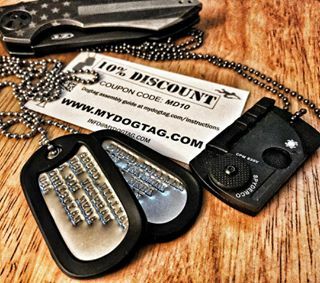 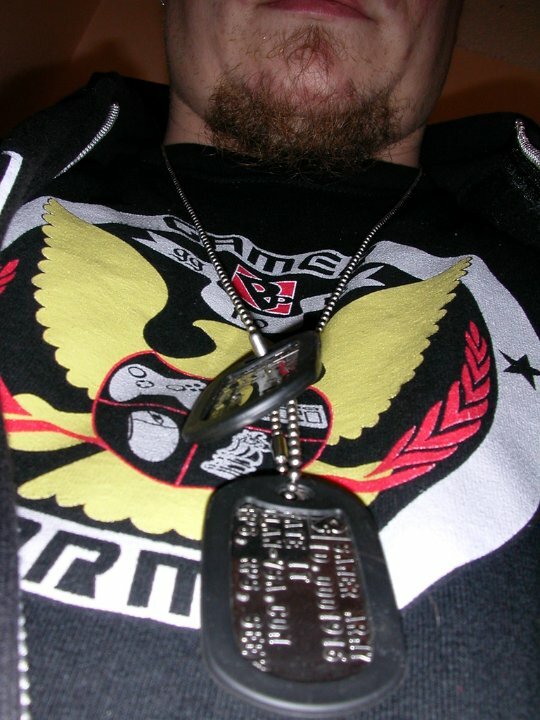 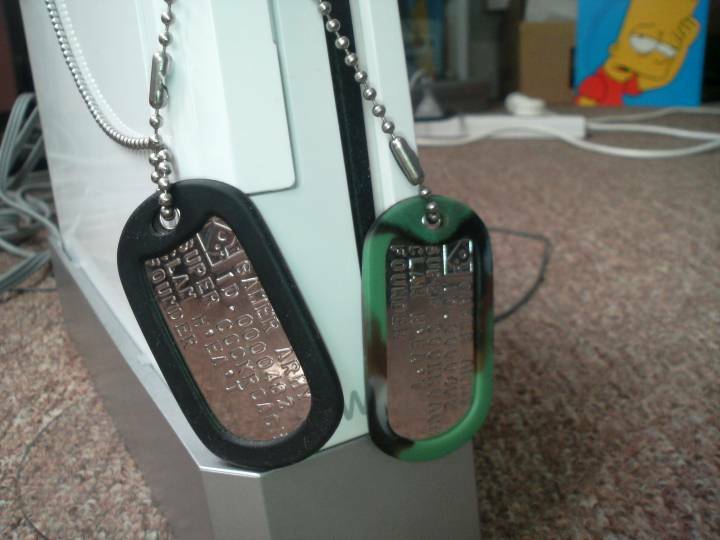 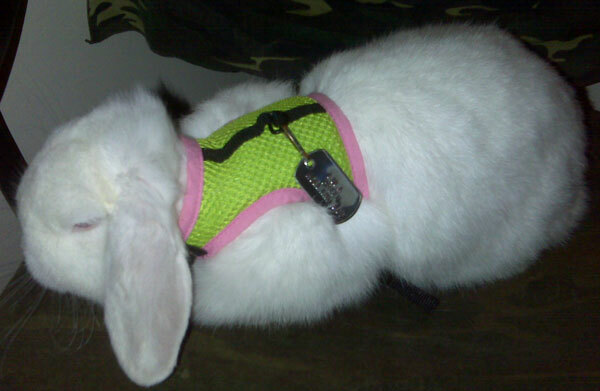 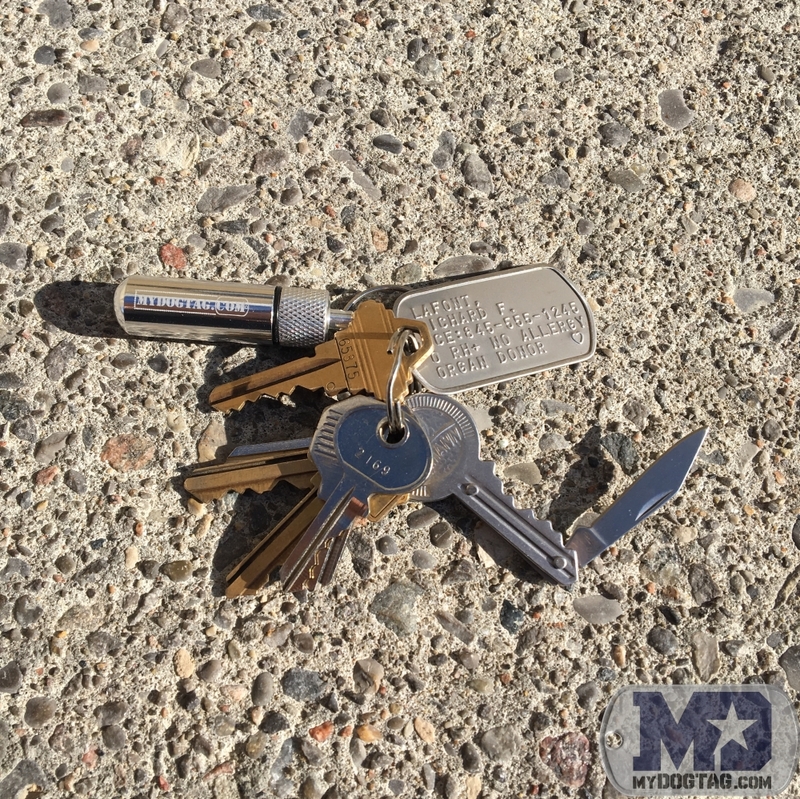 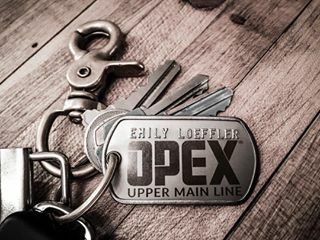 Only $14.99, or choose from a wide selection of other Dogtag styles, fonts, silencers, and chains from $7.99. 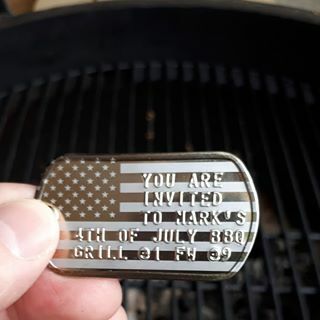 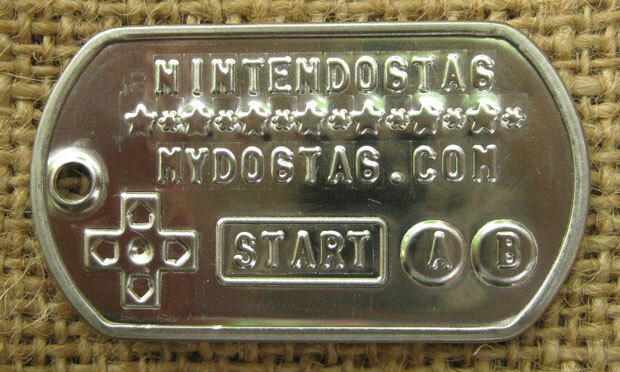 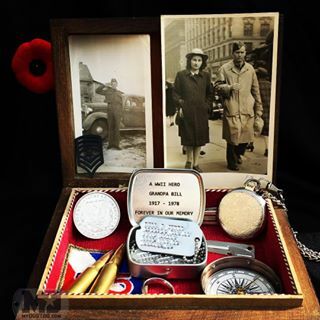 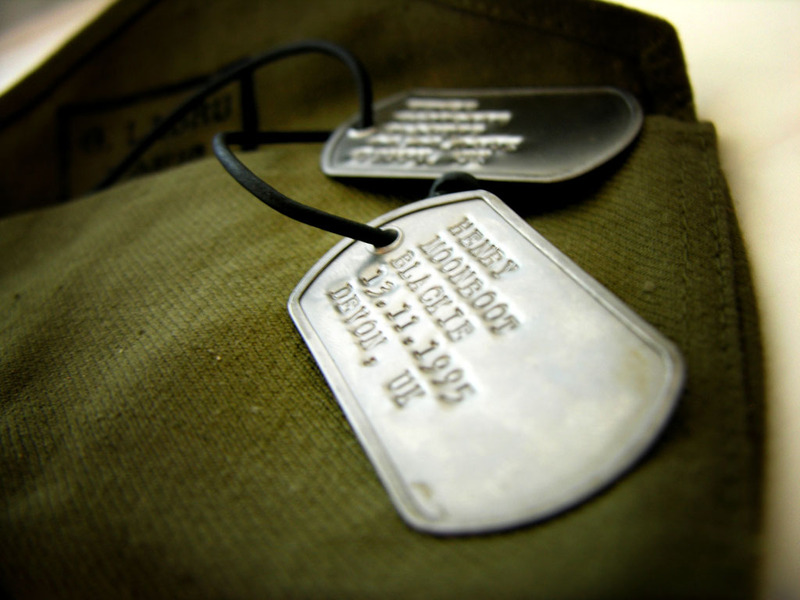 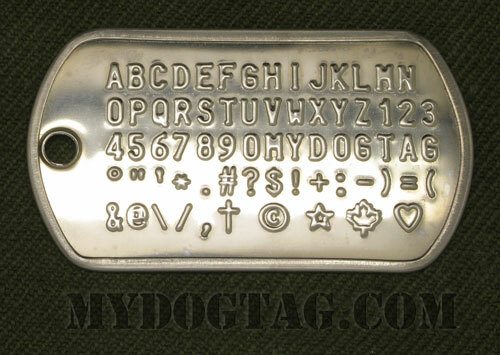 See an example of the Canadian Armed Forces Identity Disc Dogtag format. 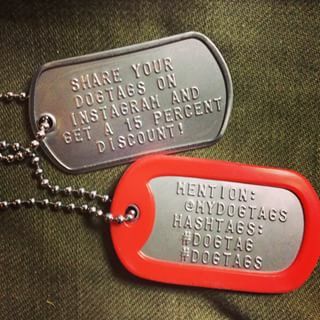 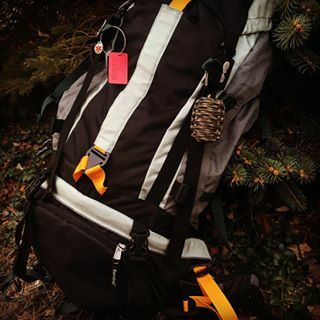 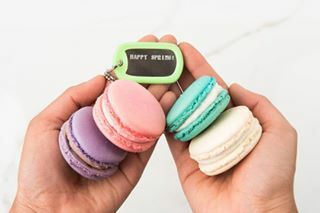 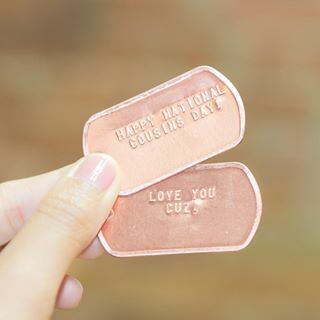 This is a SINGLE tag with 2 sides, not two separate tags. 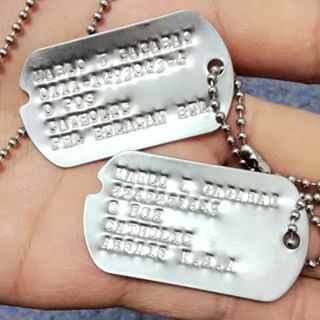 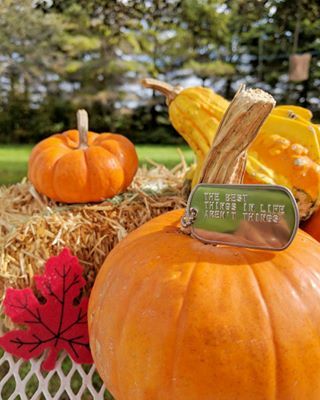 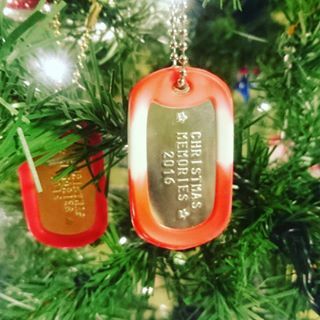 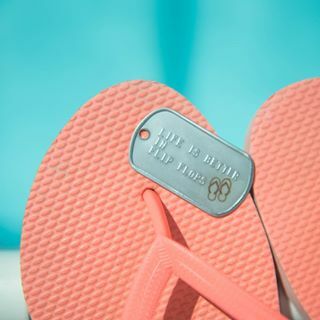 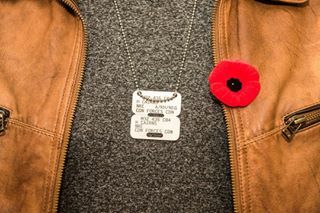 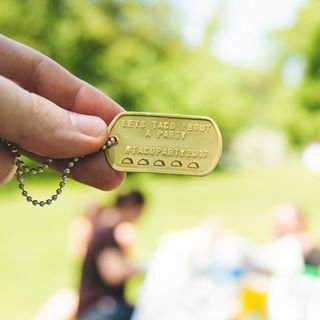 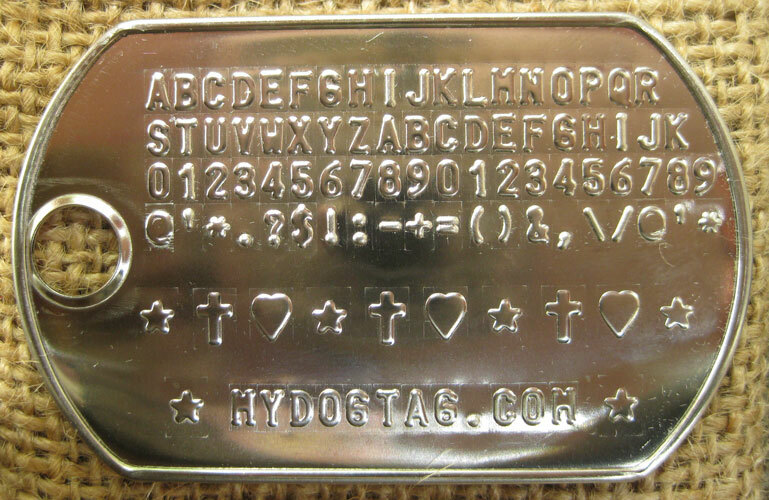 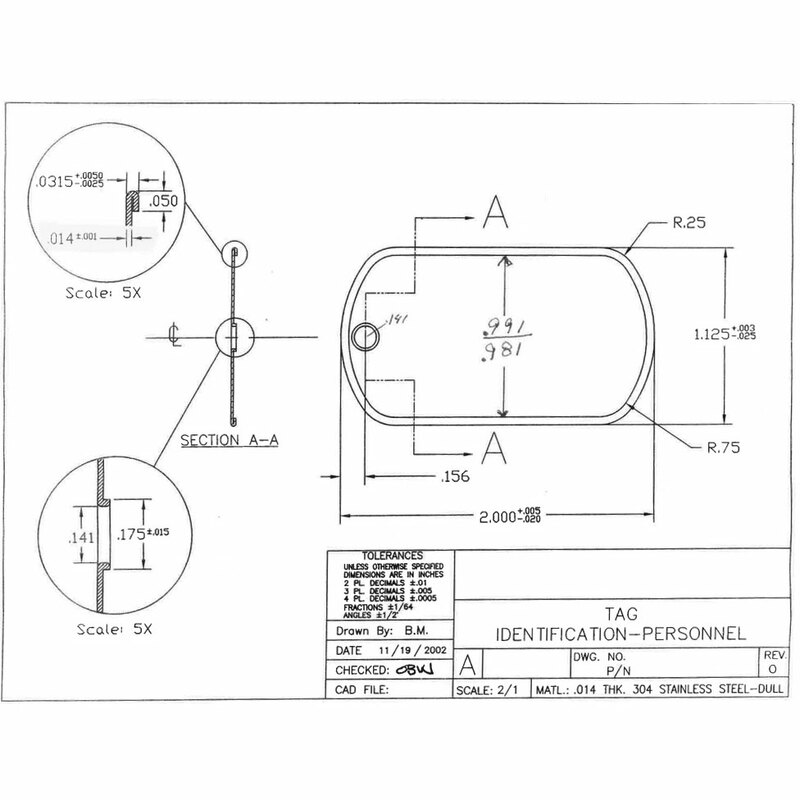 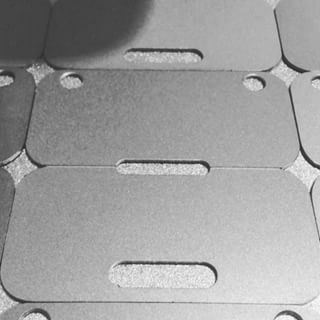 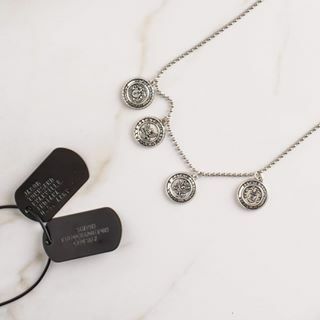 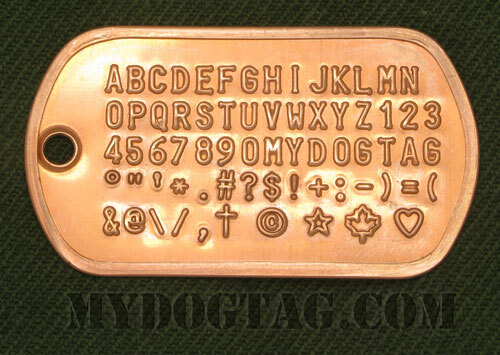 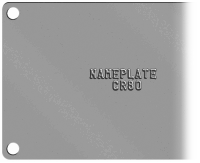 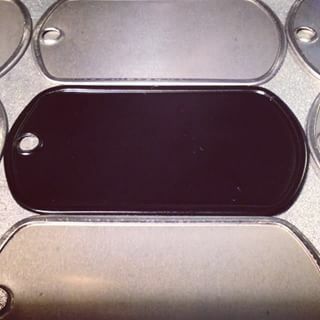 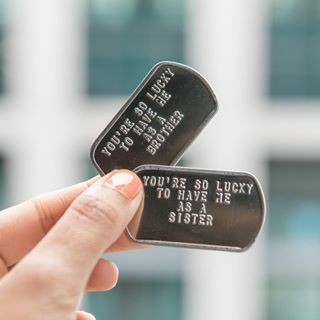 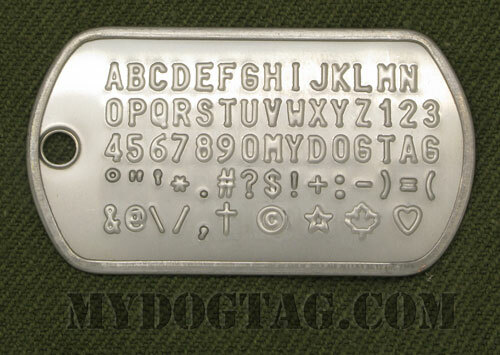 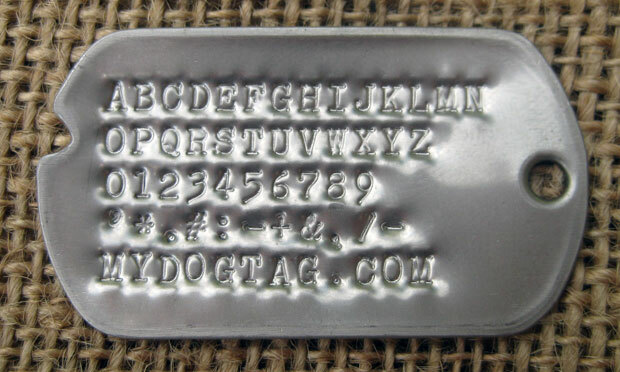 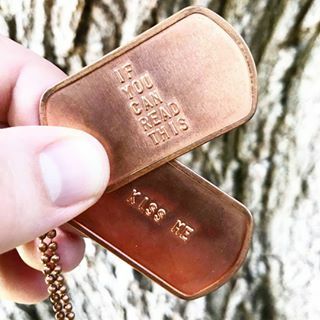 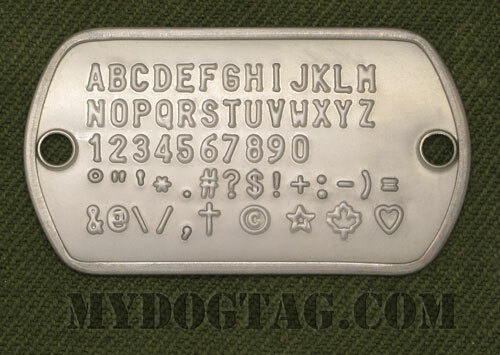 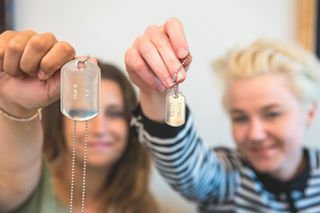 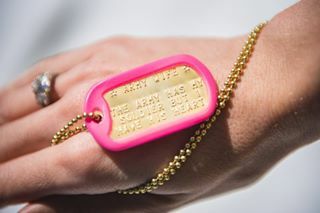 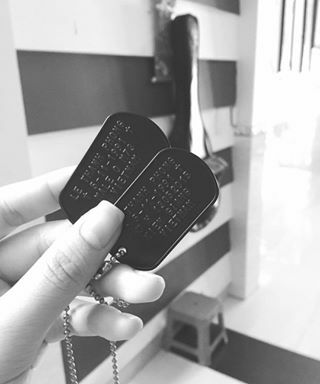 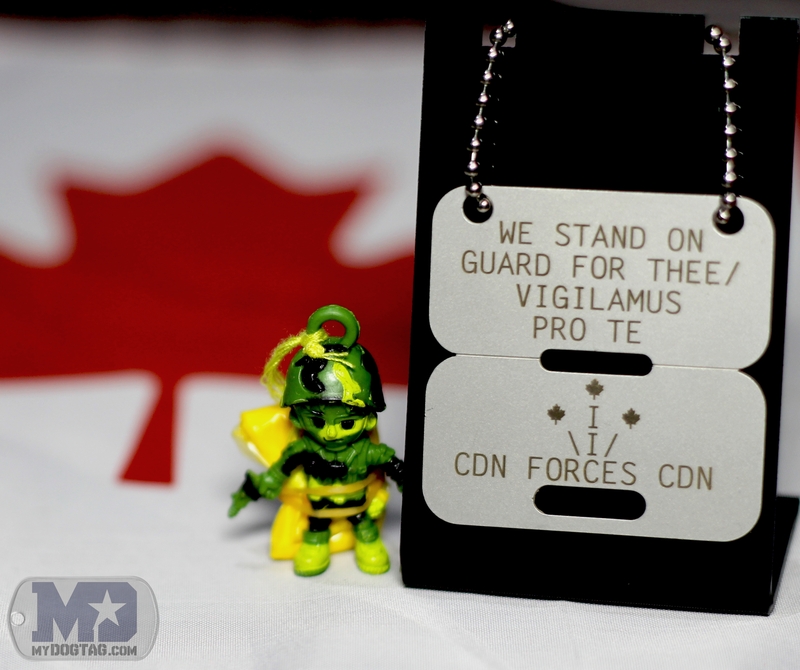 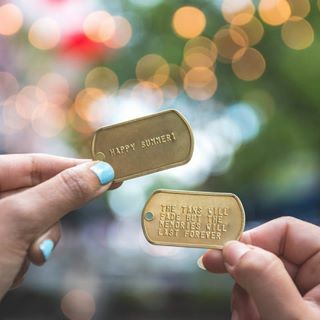 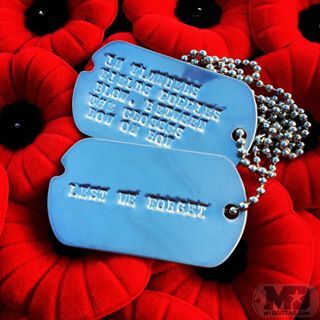 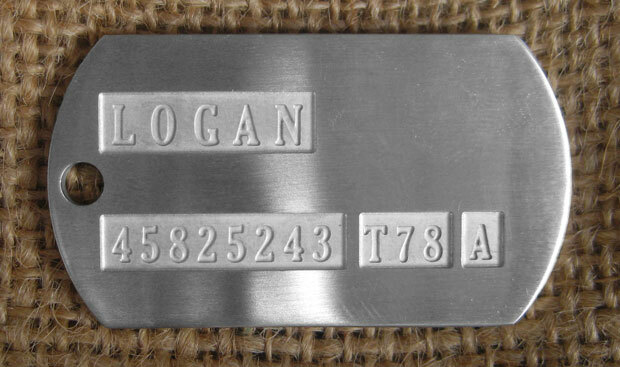 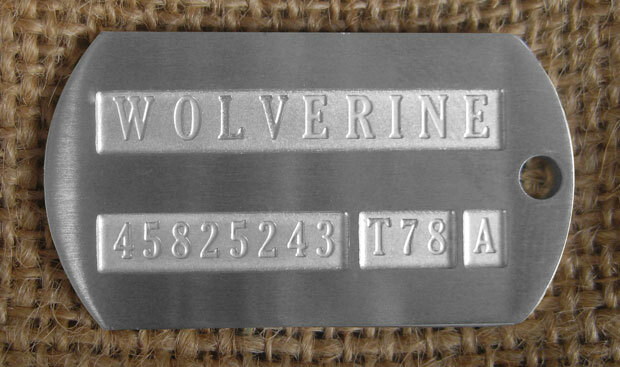 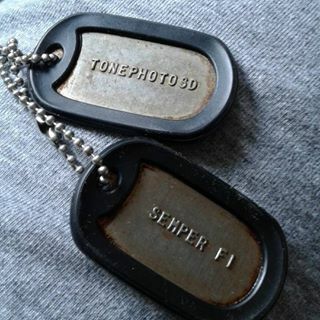 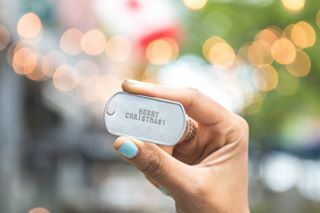 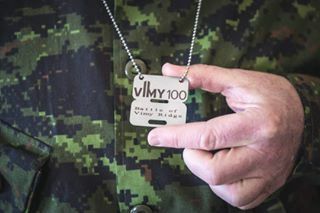 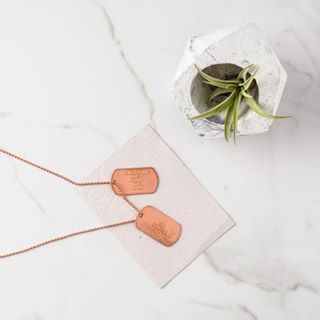 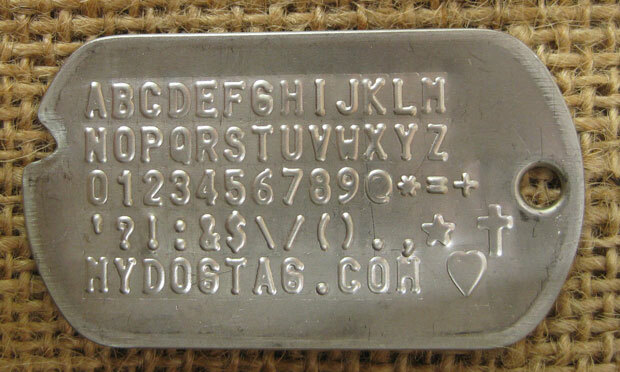 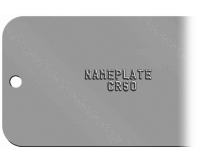 The Canadian Forces ID Disc can be customized with just this one font: If you prefer a dogtag set that can be embossed or debossed please select a standard dogtag style. 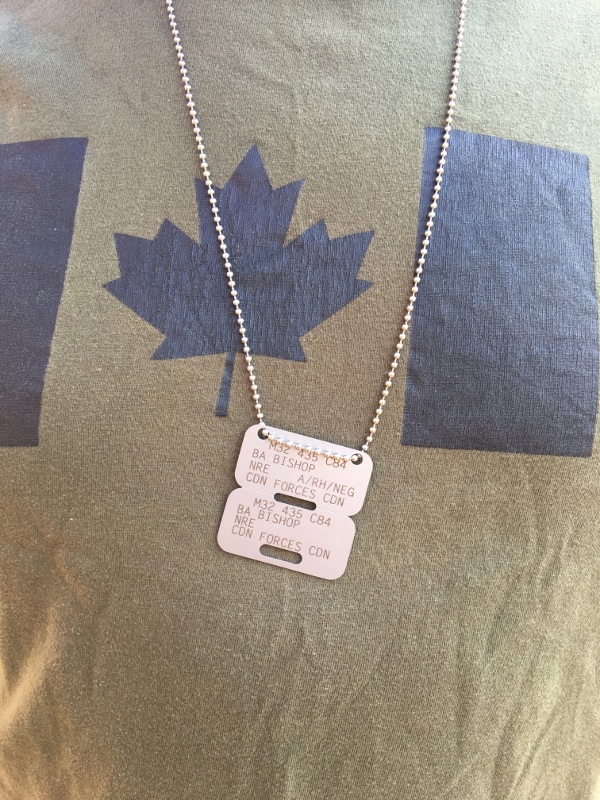 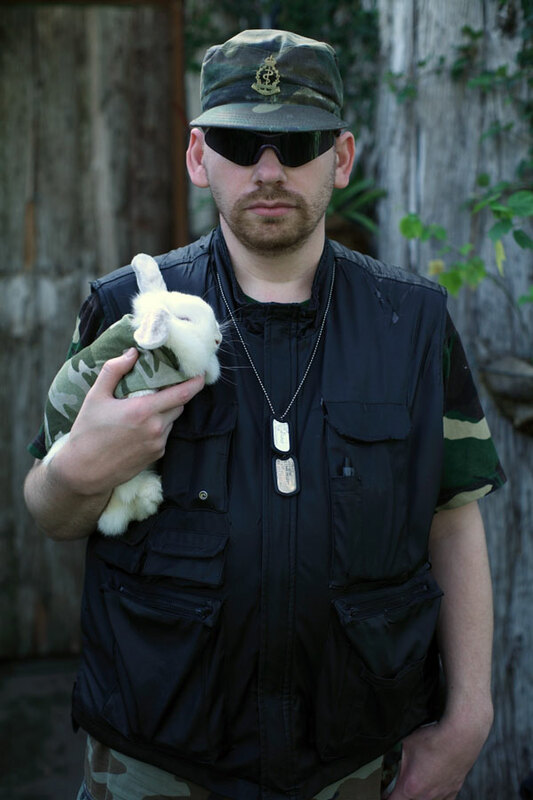 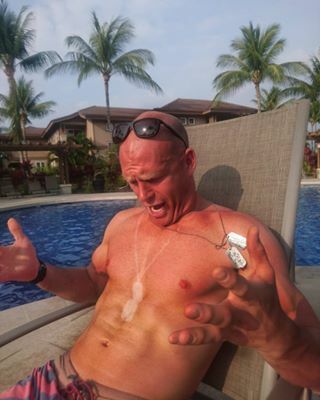 Sorry, silencers are not available for the Canadian Forces ID Disc. 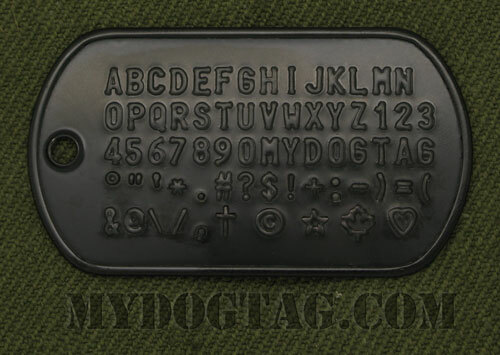 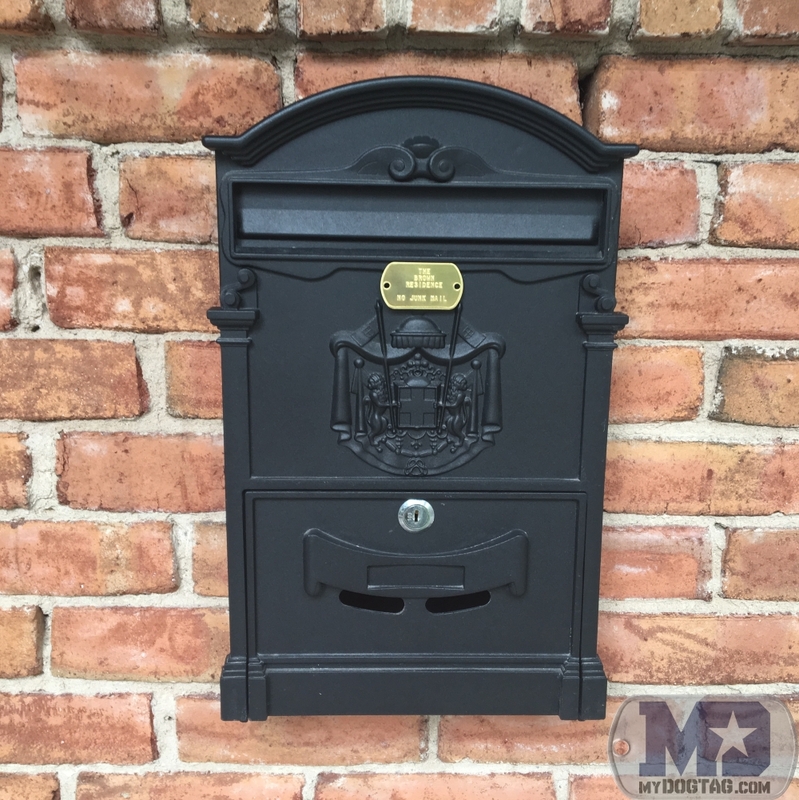 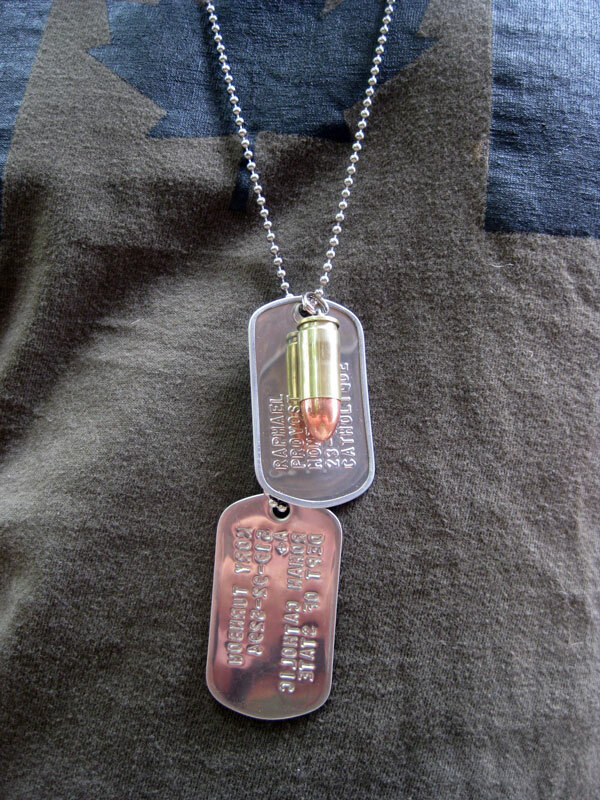 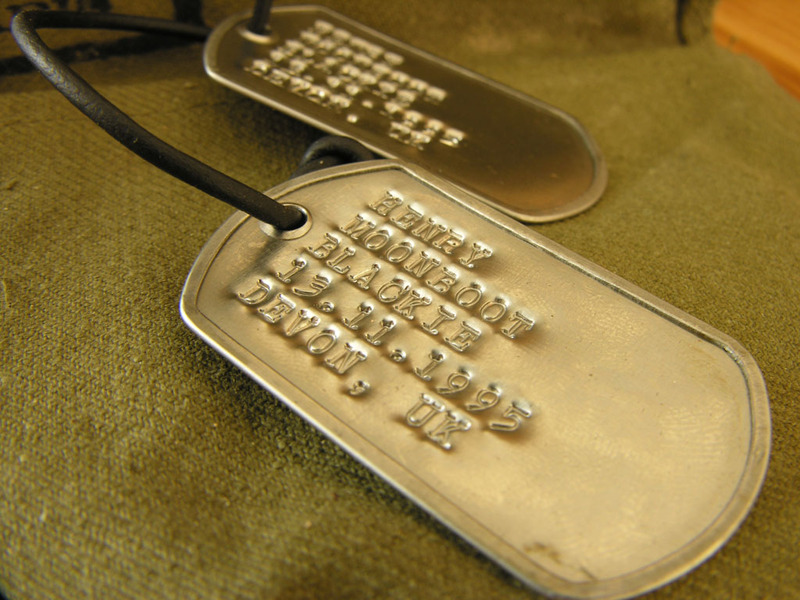 If you would like a dogtag set with silencers please select a standard dogtag style.